Pinot Noir is a red-wine grape originating in the Burgandy region of France. 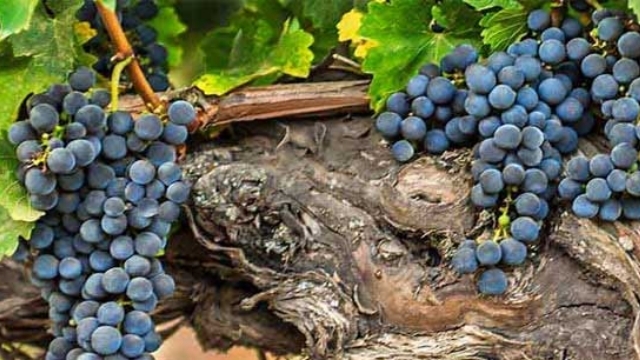 It is generally considered one of the dozen and a half or so of world-class red-wine grapes (those in boldface in the varietals lists near the top of the page), arguably one of the top two (along with the Bordeaux type Cabernet Sauvignon). Pinot Noir is a notoriously fickle grape in the vineyard. In its home, it has had many centuries of intense care, presumably leading to the use of clones that are exactly matched to their soils and microclimates; in other regions, that selection and adaptation is still a work in progress. There may well be more clones of Pinot Noir in vineyards than of any other wine grape. The French passion for classification reaches its apex in Burgundy. In Burgundy, there are five growing areas, divided in total into fully one hundred AOCs (appellations d'origine contrôlée), and, within each, designations from "Grand cru" through "Premier Cru" and "Village" down to "Regional". (Take notes: there will be a quiz in the morning.) There is no point in re-inventing the wheel, and Hilarie Larson has a fine introduction to the world of Burgundy (including also Chardonnay) at the Wine Folly web site. Some of the most fantastically expensive and swooned-over wines in the world are Burgundies of Pinot Noir. So what is this fascinating grape like? Well, once you have tasted it, you will not likely ever mistake anything else for it, or vice-versa (whereas, in contrast, there are several eminent Bordeaux reds that can readily be mistaken for one another). Jancis Robinson states that "Perhaps the only characteristics that the Pinot Noirs of the world could be said to share would be a certain sweet fruitiness and, in general, lower levels of tannins and pigments than the other 'great' red varieties, Cabernet Sauvignon and Syrah." The great claim about Pinot Noir is that it is the premier grape for expressing that elusive quality, terroir. The French Wine Guide defines terroir as "a group of vineyards (or even vines) from the same region, belonging to a specific appellation, and sharing the same type of soil, weather conditions, grapes and wine-making savoir-faire, which contribute to give its specific personality to the wine." That's really not very helpful; as the Wikipedia article on the word better puts it, "Terroir can be very loosely translated as 'a sense of place', which is embodied in certain characteristic qualities, the sum of the effects that the local environment has had on the production of the product." That is why Pinots from vineyards scarcely a stone's throw apart (literally) can differ substantially in almost every respect (yet be equally good—or great, or mediocre—wines. Notice that neither definition refers to the wine maker: it is as if the wines magically make themselves from the grapes; obviously, however, the wine maker is, as one might say, the lens through which the the terroir is perceived in the glass. If we try to get more definite, we can say that cruder Pinots, grown where the climate is really a bit too warm for it, produce relatively simplistic fruit bombs often described as "jammy"; we recall some that tasted like they should be spread on toast. In better circumstances, the resulting wine is light-to-medium in color and body, and pervaded by fruit flavors of the dark-red-berry sort, typically cherry but sometimes raspberry/strawberry. Beyond those basics come the highly variable terroir variations of earthiness, cedar, tobacco, and the usual host of vague words that try to express the subtle and complex red-wine flavors for which there are still really no good words. Factoid: French wine law allows most Pinot Noir Burgundy to be cut with up to 15% of regional white-wine grapes. In practice, such blending is extremely rare. "Pinot Noir is a dry, red wine that typically exhibits fruit-forward character with strawberry, cherry, raspberry and blackberry fruit taking the cake for palate presence. Notable earth-driven layers are also quite common in a glass of Pinot, with herbal, mushroom, leather, and game-like qualities being fairly familiar. Warm spice notes also make their way into the Pinot Noir palate profile, often in the form of cinnamon, clove and smoky, tobacco nuances." "Pinot, as I have said, can vary enormously but its essential characteristic is charm. It tends to be fruity, perfumed and haunting. It dances on the palate rather than overpowering it. Heavy tannins and deep colour are not essential elements in a fine Pinot Noir - not even in a young Pinot Noir. In fact some of my favourite burgundies are not grand, long-living monsters but lively, sprightly essences of place, sometimes just a general village wine - not one labelled with the name of a grand cru or even a premier cru but one carrying simply the name of a village. . . Wine producers the world over tend to be so smitten by the quality of the greatest red burgundies that they cannot resist trying to make Pinot Noir where at all possible. There are accordingly small plantings all over Europe and beyond. But very few regions can claim to have a real proven affinity with the grape. The Pacific north-west state of Oregon was the first New World wine region to claim Pinot Noir as its own, but its variability of climate (and, it must be said, some less than perfect clones) has made quality extremely irregular. When Oregon succeeds, it makes a particularly fruity style of Pinot. Next to claim the crown were fog-cooled pockets of California such as the Russian River Valley (big juicy Pinots), Carneros (lighter and more fragrant) and the Central Coast between Monterey and Santa Barbara where certain sites have shown over a decade that they can reliably ripen Pinot, just, and make truly appetising examples. . . New Zealand is setting its cap at Pinot Noir and certain examples from Martinborough/Wairarapa just north-east of Wellington in the south of the North Island and Central Otago towards the south of the South Island suggest that they may well have a real claim to be the next great Pinot region." "One Pinot Noir winemaker who changed to a more commercial style [picking at higher sugars, lower acidity, dehydration] and saw his ratings and sales take off, remarked 'Elegant and delicate wouldn't score more than 82 points. Each year the bar is raised and the further we get from Pinot Noir. But we want to make a wine that sells. What is success: maintaining a style or selling 30,000 cases?'" "Pinot Noir should never be described as powerful. The beauty of Pinot Noir wines lies in their elegance, finesse, perfume, silky tannins, and bright fruit character. Pinot wines are seductive, drawing you in with their captivating bouquet. With age they can develop complex aromas and flavors of earthy truffle, leather and dried herbs." "Pinot noir produces a heavily perfumed wine with scents of earth, spice, cherries, strawberries and raspberries when ripe. It is a light to medium bodied wine, with high acidity that can age well. 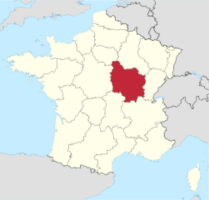 Burgundy is an expensive wine region. While great wines are produced in Burgundy, many wine collectors state, finding a good Burgundy is a bit of minefield. While the great wines are amazing, as often as not, the bottles they buy and open do not deliver their desired levels of pleasure." "Pinot Noir wine is produced from red grapes but it is much lighter in color than other red wines. Pinot Noir flavors and aromas include roses, fruits, black cherry, berry, and currant. Other Pinot Noir characteristics include high acidity and low tannins. Pinot Noir's flavor depends heavily where it is grown and how the wine maker treats it, so a good winery can produce exceptional wines. However, Pinot Noir is finicky and can produce poor wines even when the wine maker does things right." "The structure is delicate and fresh. The tannins are very soft; this is related to the low level of polyphenols. The aromatics are very fruity (cherry, strawberry, plum), often with notes of tea-leaf, damp earth, or worn leather. Yet pinot noir is very transparent to the place where it is grown. The staggering range of wines produced makes it pointless to define which personality is the best expression of the variety. " "Pinot Noir is described as tasting like strawberries, black cherries, leather, game, mushrooms, spice and humus. Some simple, straightforward, well-priced Pinot Noirs do taste like strawberries, but for most Pinot Noir, aromas and tastes vary fairly widely." "Pinot Noir can be among the most amazing wines you'll ever taste, and it can be flat-out anticlimactic. It inspires more rhapsodies—and disappointments—among wine lovers than any other grape. When it's good, it's ethereally aromatic, with flavors ranging from ripe red berries to sweet black cherries, and tannins that are firm but never obtrusive. (When bad, unfortunately, it's acidic, raspy and bland.) "
As Jancis Robinson has remarked, "price is an extremely unreliable guide…what a wine sells for often has more to do with advertising hype and marketing decisions than the quality contained in the bottle." And that is so of Pinots from wherever it is made, not just Burgundy; this varietal seems to be more of a religion than perhaps any other. When buying modestly priced real Burgundy, your chief clues to reliability are the négociant or the importer or both. Some highly reputed négociants are (in no special order) Louis Latour, Joseph Drouhin, Louis Jadot, Domaine Faiveley, Bouchard Père et Fils, and Olivier Laflaive; respected Burgundy importers include, among others, Kermit Lynch, Neal Rosenthal, Louis-Dressner, Robert Chadderdon, and Polaner Selections. While top-rank Burgundies have prices that are the subject of jokes (and are actually treated as investments), remarkably decent Pinots can nevertheless be had for reasonable prices. Outside of Burgundy, the top Pinot regions would be Oregon and (perhaps especially) New Zealand, though we mustn't forget Austria; California Pinots (as some of the remarks above show) often are ill-made quasi-Cabernets (because that's what sells), but there are also some good specimens from select regions of the state. Nowadays, even South America is a region to notice for Pinots. We have tried here to present a palette of Pinot Noirs from a variety regions; as everyone says, there is no Universal Standard Pinot Noir under glass in a lab somewhere. The idea here is not to reveal all that Pinot Noir can be, but simply to get you started on a long road of exploration. Because Pinot Noir can be so many different things, our list here is longer than usual, and includes several wines from each of the four areas mentioned. ♦ At first glance, the colour was much darker than the normal Pinot Noir. I really like the bouquet though. It was very expressive with layers of fruits and spice. However, the taste was too acidic for my liking initially. We decided to let the wine breathe in a decanter while we nibbled on the cheese and nuts. When we returned to the wine after half an hour, the palate was completely different. It was now soft on entry, with fine tannin and fresh acidity. A very fine and tasty wine that you would expect from Yarra Valley's finest. A truly deserved score of 93-points by James Halliday. ♦ Like De Bortoli's Estate Grown Pinot Noir, this  Reserve Release (also estate grown), is firmly built. Crisp acids and a big, burly mouthfeel accent sour cherry and cranberry fruit and an increased dose of new oak. It's plenty muscular, but could use a touch more finesse. 86 points. ♦ It has a sweet dark cherry nose that’s quite forward and aromatic, with some earthiness in the background. The palate is smooth and elegant with dark fruits hiding a fair bit of structure. Very good/excellent. 93 points. ♦ Medium red, not too dark in appearance. Aromas of red currant, cherry and raspberry with subtle spice and forest floor. Medium bodied but building in weight across the palate. Richly textured. Long and fine with gentle, palate defining tannins. ♦ Pale cherry colour, pure and perfumed with wild strawberries and a sweet fruit attack which continues all through the palate. Light, elegant with full flavour intensity and length. Sweetness of fruit is the core of this, with a faint silhouette of supporting sandalwood under the horizon. Very good. ♦ This wine's fresh, ripe red cherry and aromatic strawberry touches make for an inviting nose. The palate shows the same intense primary fruit, bolstered by freshness and a fine, filigreed structure. Its supple, pure fruit makes it very enjoyable now, but it's sure to evolve further with bottle age. 93 points. ♦ The Stadlmann Pinot Noir ‘Classic’ 2005, from Thermenregion, south of Vienna, was a stunner. It started off with a concentrated, peppery strawberry nose, a hint of anise, a touch of licorice, and, unexpectedly, Mandarin-orange oil. On the palate, the silkiness of the texture stood out right away, a tactile creaminess that was balanced perfectly by the kind of acidity that you find in just-picked wild strawberries. This was complicated by cherry fruit, a hint of orange, sage, more high-toned spice, a wisp of bonfire smoke, and something seductively brambly. In other words, this is serious Pinot Noir, and a wildly successful argument for the virtues of Austrian Pinot. More people should make a point of learning about these Pinots in particular and Austrian wines in general: Their rewards are significant. ♦ Translucent brickish red, the wine has great Pinot typicity, with aromas of rare meat and singed herbs. Lean and light-bodied with steely minerality that I associate with red Burgundy, but with an herbal top-note I associate with Austria. Lovely. ♦ The scent of very ripe, crunchy Bing cherries is heady at first. On the palate, red cherry fruit dominates the soft, pliant and lighter body, fringed by pleasant earthiness. This is Pinot Noir in a very Central European idiom: Not weighed down with heavy oak but confident enough to let fruit and place speak for itself. This is elegant and soft, light-bodied yet ripe. If you listen to this, it will slowly reveal its undoubted beauty. 93 points, #20 of Top 100 for 2015. ♦ Stadlmann also makes very noteworthy Pinot Noir. 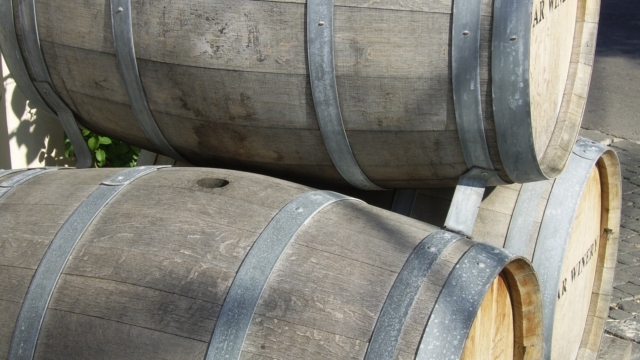 The wine spends time in large oak barrles for 12 months and has classic pinot noir aromas and flavors including soft berry notes and elegant tannins. I have had the occasion to try these wines in the years since that first meeting and they never disappoint. ♦ A tasty vein of cranberry and raspberry runs from the nose to the palate, and lingers on the finish, giving this value-priced wine focus and vibrance. It has plenty of fresh acidity, fine tannins and good depth of flavor. 90 points & a Best Buy. ♦ Bright medium dusty garnet color. Delicate, fruity aromas and flavors of baked cherries and honey roasted nuts with an even, crisp, fruity medium-to-full body and a tingling, rapid berry compote, blood orange, and roasted whole nuts finish with crunchy, dusty tannins and light oak. A rock solid pinot with nice fruit and structure. ♦ The first thing you notice about [this wine] is its delicacy. It splashes over the palate with the lightest of touches and none of the brashness of youth. It's not a thin wine but it's not heavy, either. Tannins are long, smooth and supple, with a silken texture, a quality that makes this wine very food-friendly. Sweet spices, especially allspice, clove and star anise, weave through the wine, but with a light touch. Suggestions of black raspberry, Rainier cherries and red currants come to mind, though none dominates. The wine is beautifully integrated from its first sip to its teasing finish. Those who prefer ponderous pinot noir, the ones that have been over-extracted to attract the cabernet crowd, may dismiss this wine as wimpy, but anyone who appreciates the pretty, subtle spectrum for which the varietal is famous will embrace this wine enthusiastically. And at $11 it's a steal, among the finest inexpensive pinot noirs I've ever tasted. ♦ At $11, this one is a great bargain, and while it's not the most delicate Pinot Noir on the market, it is a fun sipper with a lot of great balance…It opens up with a nose of ripe strawberry and earth, with a touch of pencil shavings. Mild and round with a little tannic bite on the finish. Full bodied for Pinot Noir, and one that will stand up well to heartier cuisine. ♦ Plum and cherry aromas are the slightest bit stalky. In the mouth, this coastal Pinot is round and full in feel, with reedy cherry and plum flavors matched by creamy oak. Briny hints, vanilla and integrated oak help this Pinot finish with elegance. 89 points. ♦ Max Reserva Pinot Noir is a higher level product from [Errazuriz] and is a beautiful wine. This is not a smash to the palate. Rather it is a delicate caress, a beautiful example of pinot noir. The tannins are fine, only apparent with the full gum swish. The palate delivers a lovely, bright wine with a smoky mineral finish. If you think about it, you’ll probably find some herbaceous notes like rosemary and thyme. ♦ This is a nice, light colored pinot noir with intense aromatics. It's a little bit spicy on the nose with plenty of cherry and raspberry aromas complementing that spice. There's a hint of grilled meat and leather on the nose too. Soft cherry flavors make up the bulk of the palate, and while it's relatively simple it's also very enjoyable. There is a spice note that hits the mid palate and adds some interest. The acidity is nearly perfect. The finish brings a cranberry flavor, which dissapates quickly making for a relatively short finish. Nonetheless, I'm not disappointed in this wine. For the price, this is a very nice—and recommended—pinot noir. ♦ Perplexing initial nose. Coconut! A piña colada tsunami—pineapple, coconut milk, strawberry garnish and a Meyer's Rum floater. It's all there, then 10 minutes later, it's gone. Just like that. Those initial few moments after a cork is pulled can be so touch and go—either very telling or completely irrelevant. But, whether I plan to let it breathe or jump right in, a little sniff and sip is never missed. The nose eventually settles on dark cherry, strawberry, green herb, and tomato. Soft spice, cocoa powder, musty and mushroom advance on the palate. My preferred New Zealand Pinot Noir for the price thus far. ♦ The 2009 Dashwood Marlborough Pinot Noir begins with aromas of bright cherry and raspberry with a few herbal notes and a little spice. The wine tastes of juicy red and black cherry and has a nice layer of spice that carries all the way through to the finish. There's also some juicy fruit on the finish that lasts for quite awhile. This is a really nice, easy sipper and a great wine to pull out at your next party to introduce your friends to New Zealand Pinot Noir. ♦ The aromatics are really attractive featuring red cherries, herbs, oak and a hint of cinnamon. The flavors echo the aromas. Juicy, light on its feet, with polished tannins and perky acidity on the somewhat lengthy finish. A very good daily drinker and an exceptional value. ♦ This one has a fruity cherry, raspberry, herb, and spice character. 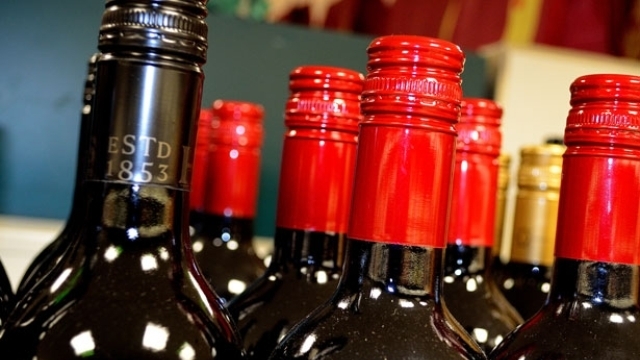 ♦ Surprisingly, 4 of those inexpensive wines made our top 10. Those four, the Waipara Springs, the Babich, the Dashwood and the Oyster Bay…represent excellent value in pinot noir, surpassing what just about any other region is offering. ♦ Moderate reddish-purple hue in the glass. Fresh aromas of dried red fruits and herbs. Light and simple redder fruits are featured with cherry-red candy flavor prominent. Bright with gossamer tannins making for easy drinkability. Decent. ♦ Another smartly priced wine, this one comes from the Awatere Valley. It displays the nervy, tight lines and purity so typical of Awatere pinots, together with a herbal twist that adds complexity. ♦ Unfiltered. Perfect marriage of crushed berries, herb garden, flowers and barnyard on the nose. Tart berries, including cranberries, on the palate with a touch of oak. Decent richness, smoothly textured and a pleasing citrus lift on the persistent finish. Plenty to like here. ♦ This wine is not one of those super premium pinot noir thrillers which the Williamette Valley seems to produce with amazing regularity, nor is it priced as such. Instead, this is a very good single vineyard PN displaying the rich fruit and acidic balance of top quality pinots from this area. It is a light-boded wine but is chock full of flavors . . Tantalizing aromas of dark cherry and black pepper leap immediately from the glass, but let this one breathe a bit and the layers keep opening. Flavors are lush and layerd with cherry & dark berry fruit most prominent, with prominent earth and a touch more black pepper on the finish. I'm a big fan of Oregon pinot noir and I try a lot of different ones at all different price points. Am always looking for wines that hit the "sweet spot" of quality-for-price. This one really hits the mark. Haven't found too many pinots this good for under $25. ♣ Wine Spectator (October 2010), 90. ♦ Silky in texture, this dark, spicy red is fragrant with smoke, toast and mineral overtones as the cherry fruit character rolls nicely through the long finish. Outstanding: a wine of superior character and style. ♦ This wine is the perfect mid-weight pinot with gobs of spice, fruit and bouquet. The taste sensations in this wine are really quite charming and seemingly go on forever. Those wishing for a powerhouse red for the season should not look for pinot noir in general or Spindrift in particular, because these wines offer elegance over mass and power. I think the Spindrift pinot is really quite something. ♦ [F]ruit-forward Pinot Noir with bright strawberry, raspberry and cherry fruit. The flavor leads you into the well-managed, supple tannins. Overall balance is about perfect, and the finish leaves you wanting more (In my opinion). Well-made Oregon wine.It is balanced by fresh & lively acidity, very little wood and soft tannins make this wine very drinkable now and it should continue to cellar for years to come. ♦ The Spinnaker Pinot Noir is excellent, with aromas of toasty oak with cherry and strawberry. It offers a soft even palate and a lingering finish with lively acidity. ♦ [T]he color was more that of garnet – not ruby, as the vintner’s website states. On the nose we were delighted with the cherry and cherry pipe-tobacco. We anticipated the first taste of this well-heeled wine. Slightly tannic and light on the tongue, our first sip produced subtle notes of red currant, citrus, rum, and spices – namely cloves and mace. We loved it. ♦ Smells like Pinot, with meaty plum and fleshy black cherry aromas. Tastes like Pinot, with a supple texture and cola and black cherry flavors. Why can't more wineries turn out good Pinot at this price? 86 points. 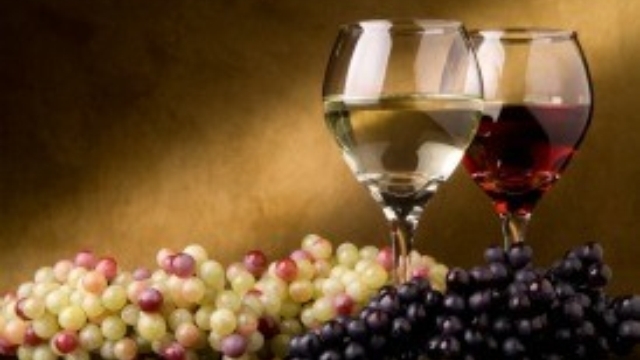 ♦ Occasionally, a wine talks to you in an entirely different voice with it’s aroma than what you actually taste. This was the case with the Louis Latour Pinot Noir. A strong personality showed up in the aroma with floral stems, tobacco leaves, funky turnip greens, asparagus, cigar smoke and leather. The aroma kept evolving. There was a lot going on. I wondered if there might be a problem. However, the palate was entirely different than what I was expecting with soft tannins, red currents, black cherries, raspberries, spices and a lovely earthy floral accent. Overall, a very enjoyable Pinot Noir. ♦ The wine, called Domaine de Valmoissine, is made with techniques that result in a soft, approachable style of wine that can be consumed within a year of harvest. The style of wine is called vin vermeil, which apparently was innovated by Latour at the end of the 18th century. I found the 2002 to be soft and lush with a spicy nose and that cherry fruit I look for in good pinot noir. ♦ Though not a Burgundy, it is a good, well-priced…example of a French alternative that is lighter weight, less fruity, and more savory than a typical New World Pinot Noir. All in all, though it may seem faint-hearted of us, we have opted to not specify any "splurge" Pinot Noir wines, considering it too risky a proposition. If you're in a mood to blow a wad on a special bottle of PN, consult a trusted local winemonger.